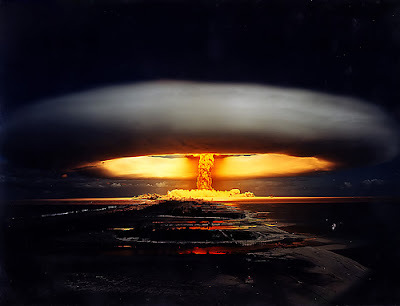 Licorne was a test of an experimental thermonuclear device for the TN-60 warhead; the fourth thermonuclear test conducted by France. The nuclear device was suspended from a balloon, which was filled with 14,000 cubic meters of helium, 500 meters (1600 feet) feet over the Dindon testing sector. 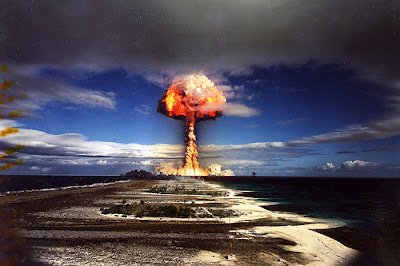 3,700 men stationed on Mururoa were evacuated for this test. 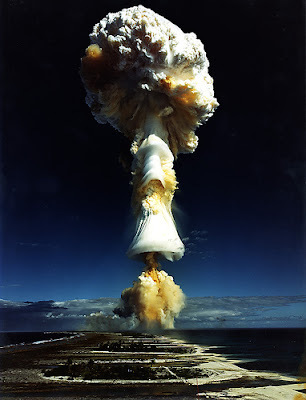 An observer described the Licorne detonation as being a “a stupendously beautiful pillar of fire piercing a perfectly symmetrical mushroom.” Six hours after the explosion, Debré and the visiting correspondents returned to the main base on Mururoa. 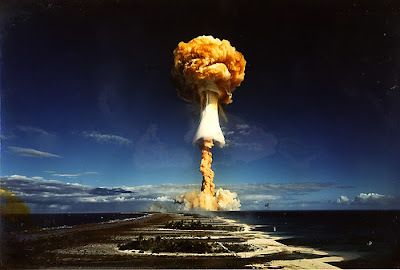 Debré reportedly swam in the Mururoa lagoon during this time to make the reporters think the radiological effects of the nuclear tests were harmless. When I sailed through the South Pacific on a 44 foot boat, I met third generation humans still suffering from these tests. It raises my hackles. France recently cut funding to these people.